Sure. Sure they could. And so the brothers Foote proceeded to disassemble the cabins and repurpose a good portion of the timbers back into Jonathan’s new design. 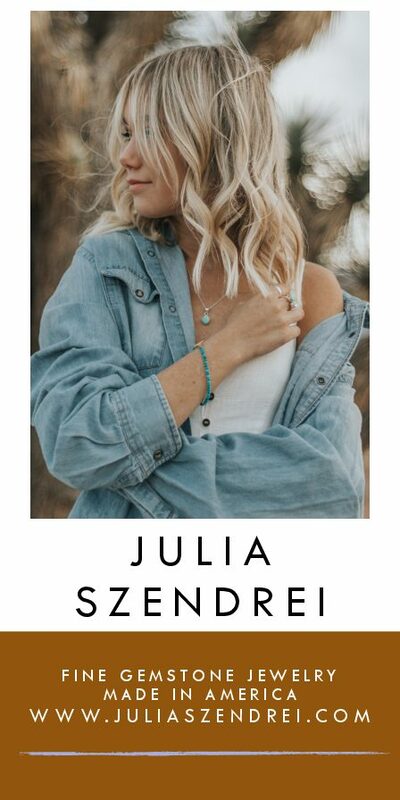 A client in Jackson, Wyoming, soon followed asking for the same look. Then came a magazine article. Foote set up shop in Livingston, Montana. 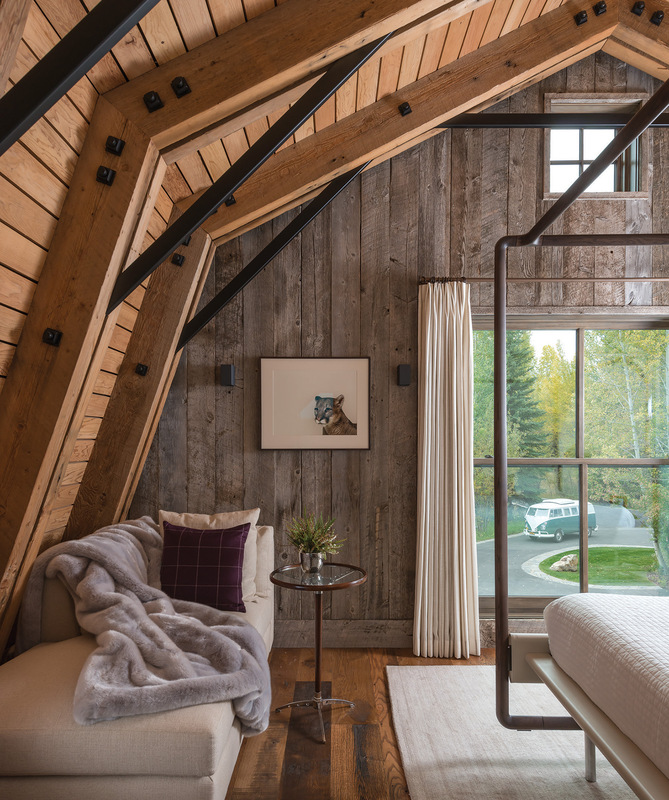 Fast forward a generation or two, and reclaimed lumber, in the context of residential architecture, has become something very nearly unique to the Northern Rockies. If this isn’t our signature style, it’s as close as we’re likely to get. New England has the Cape Cod; Santa Fe has Pueblo Revival; Montana, Wyoming, and Idaho have reclaimed. It’s no stretch to say that the look popularized by Foote has informed thousands of homes in the region (Foote himself is responsible, by his own count, for more than a hundred projects), and most of these structures seem to have sprung from the landscape itself. 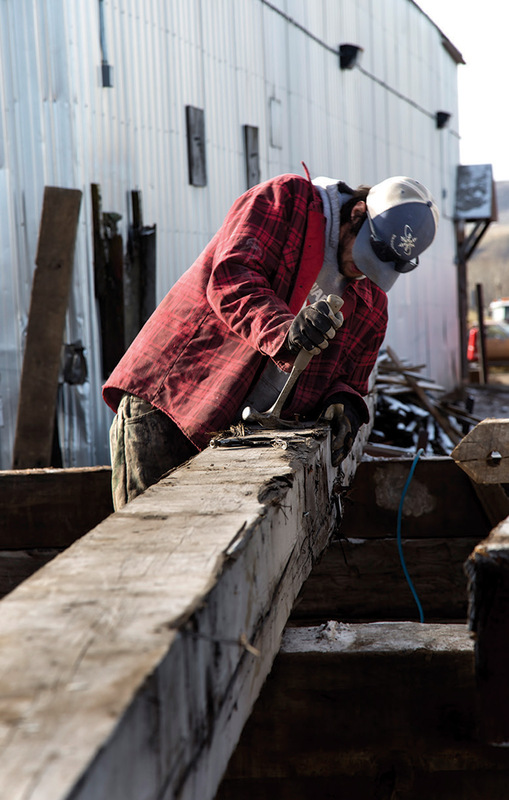 These days, reclaimed lumber is an industry unto itself. In order for a given board to make it from its original context to a new home, it needs the support of a very specialized infrastructure. The source material needs to be discovered, disassembled, transported, denailed, cleaned, resawn as necessary, stacked, graded, and sorted. It’s improbable, the amount of work and care that goes into curating a single board. 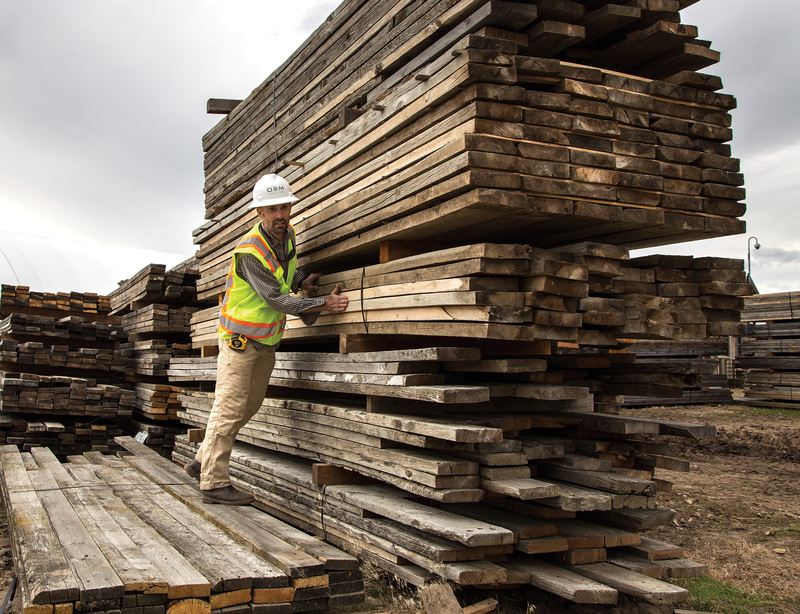 And, as it happens, Montana’s Gallatin Valley is the epicenter of it all, home to three significant reclaimed lumberyards. Varying in size, sources, and customer base, these three yards demonstrate considerable differences, but offer some obvious commonalities as well: denailing stations and metal detectors, saws and drying kilns, power sprayers and college-age employees working over claw hammers. And they all are managed by individuals with a passion for the wood. It’s a considered word: passion. And not just for the quality of the wood but for the narratives behind the wood. It’s one of the things the customer buys, after all. A piece of paneling, a railing, a rafter, sure; but also the context. Where it came from. It makes for something to talk about over the second glass of wine. Moving through their stacks, past an endloader and a sorting and cleaning station, McQueary said, “We start out by asking clients a set of questions. We ask them, ‘Do you want a naturally aged gray or brown?’” Gray being lumber which was weathered outside and brown having been aged on the inside. “Then, ‘Do you want hand hewn? Do you want rough sawn or smooth?’ Then the species start coming into play. ‘Do you want oak? Fir?’” Above all, most clients want consistency, a similar look across the boards — this from a material which is full of inconsistencies. It’s something that every reclaimed provider works hard to achieve. Five or six miles down Jackrabbit Lane toward Four Corners, Schlauch Bottcher Construction (SBC) is the parent company of Montana Timbers. 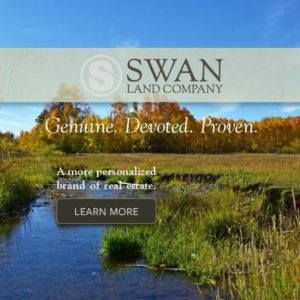 In business for 20 years, SBC created Montana Timbers as a way to control its own supply and schedule. At this point, however, and according to operations manager Pat Iwanski, a good portion of the yard’s inventory goes out to other architects and builders. A showroom gives potential customers a look at samples. You can pick up a board, weigh it in your hands, snap a photo, be told how much it’s going to set you back. “There’s about a million board feet in this facility,” Iwanski said, walking through their yard, “and we’re a completely metal-free facility. The boards are denailed as soon as they come off the truck.” The yard was sloppy after an early snowstorm and thaw. Our boots sank into half-frozen mud. 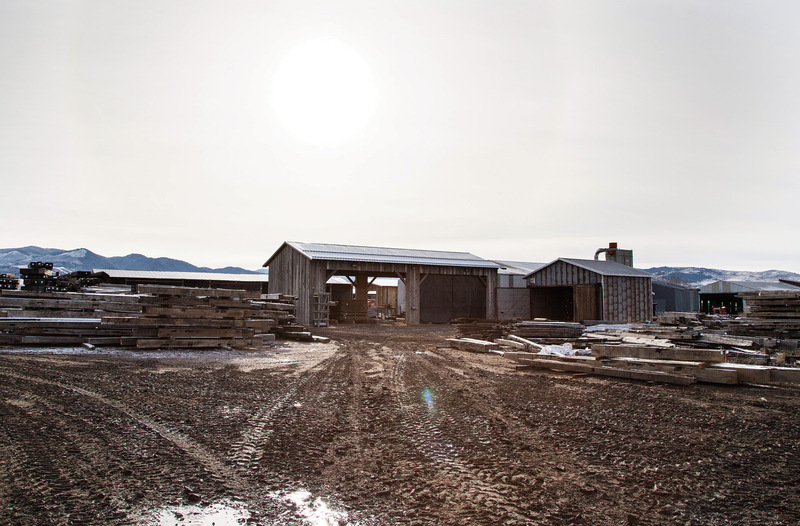 Montana Reclaimed Lumber Co. (MRL) was founded to supply reclaimed lumber to the public. Mike Halverson was working construction in 1997 when his foreman asked for volunteers to take down a granary outside of Bozeman. “I said, sure, I can do that. Then a year later he called me up and asked if I still had that lumber. He had a guy who wanted to buy it.” Halverson saw the opportunity, and started driving around the state knocking on ranchers’ doors, finding product and figuring out how to move it. “One thing led to another. Pretty soon I realized I couldn’t meet the customer needs just by staying in Montana. I started traveling a lot, both domestically and internationally. France, Indonesia, Canada.” Twenty years later, Halverson is president and owner of MRL, one of the largest reclaimed yards in the West. It seems fitting: That a home which helped spark the movement toward repurposed architecture, toward reusing history, should itself become part of that ongoing history. 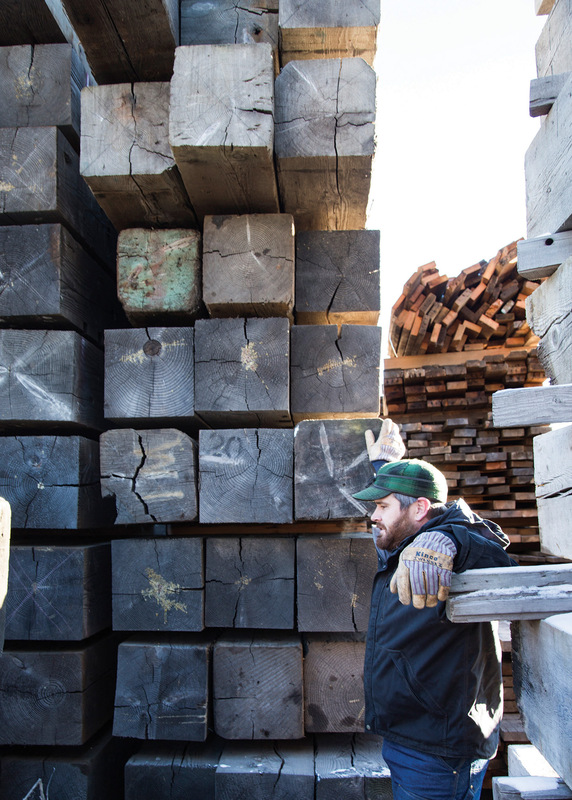 The story of reclaimed lumber. Pat Iwanski is operations manager for Montana Timbers. 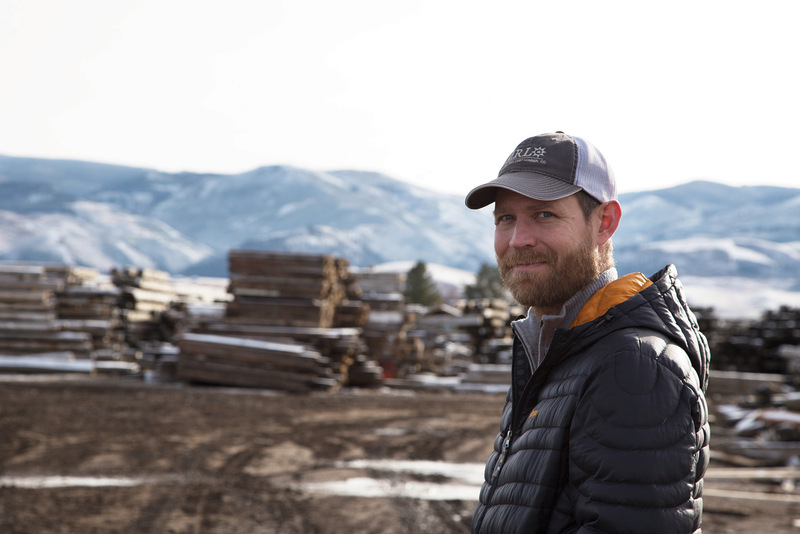 Mike Halverson owns and operates Montana Reclaimed Lumber (MRL). MRL occupies 16 acres just outside of Gallatin Gateway. 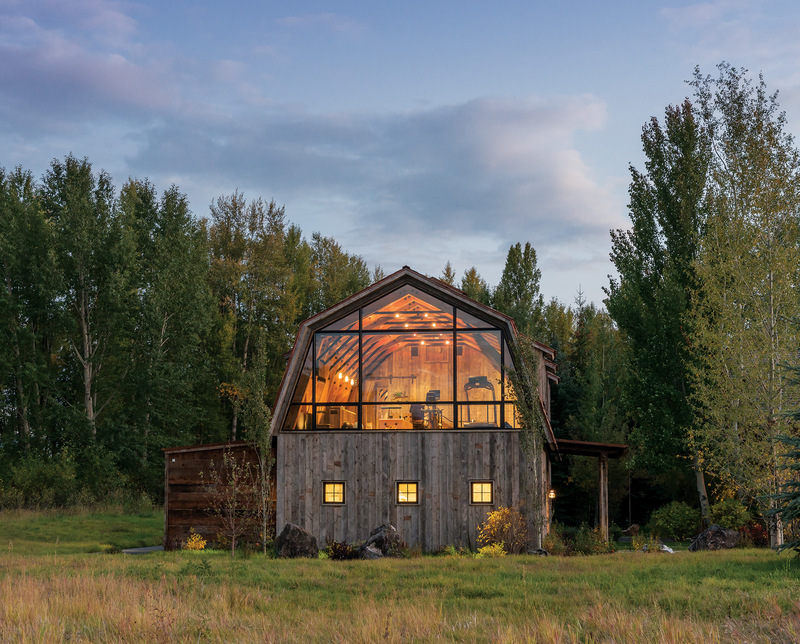 MRL owner Mike Halverson said, “The material has gone into a number of projects over the last couple of years, but one in particular really stands out.” The residential barn structure was designed by Carney Logan Burke Architects and built by Benchmark Builders. 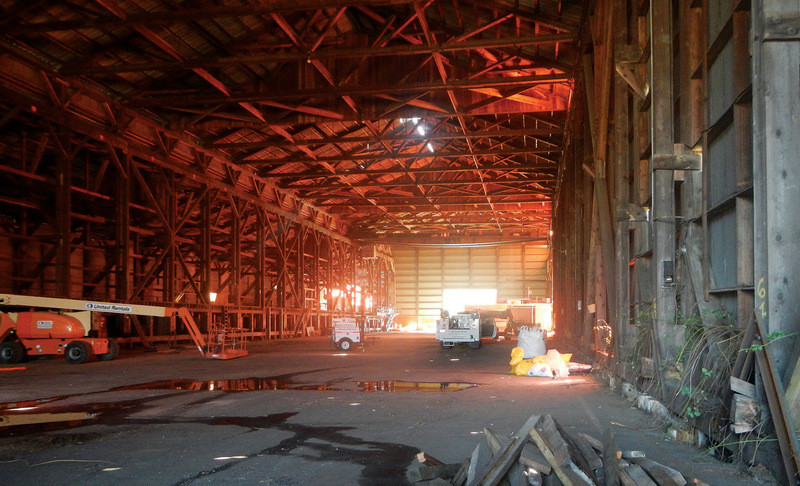 Originally built in 1951, an enormous mill structure in Port Alberni, British Columbia, was disassembled two years ago. 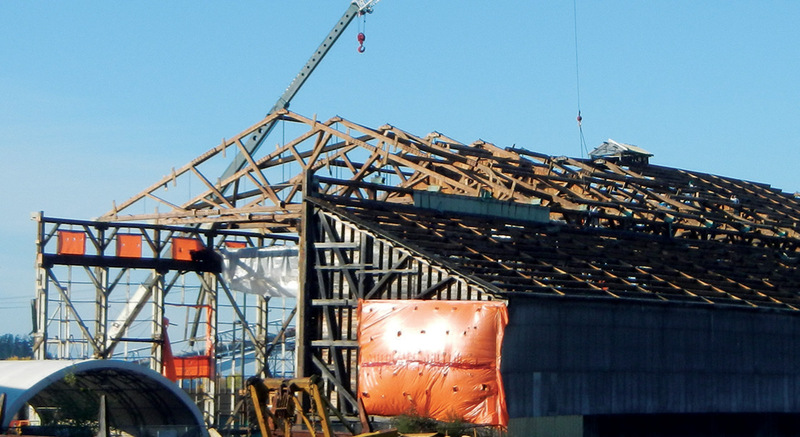 MRL salvaged more than 400,000 board feet of Douglas fir and western hemlock from the structure. Chris McQueary is a manager for On Site Management (OSM). 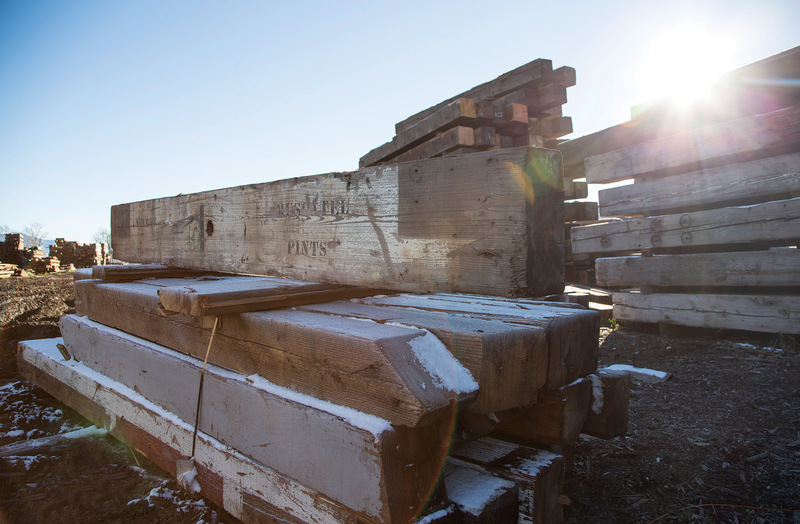 This stack of lumber in the yard of Montana Timbers, prominently advertising “Muscatel Pints,” came from a wine and liquor warehouse in Chicago. Reclaimed lumber often comes into the yards quilled through with old nails. Denailing stations are common across all three yards. 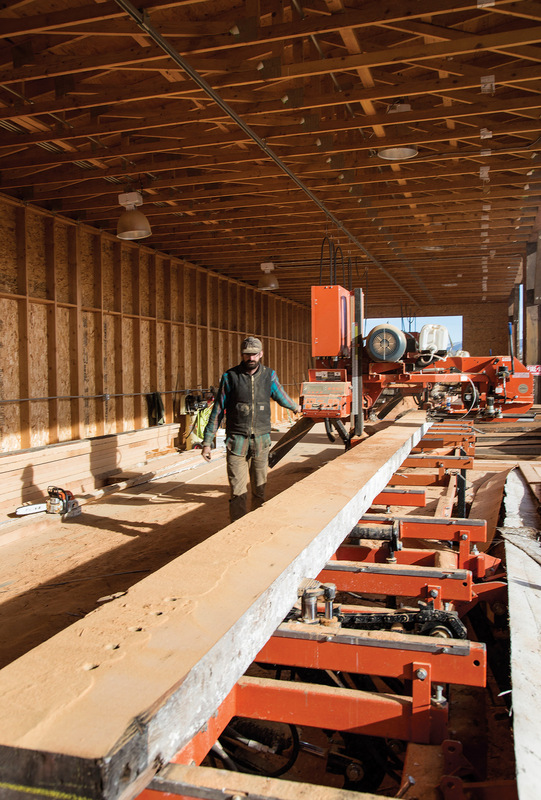 Tyler Rooney, a lead sawyer for MRL, works on a 36-inch Wood-Mizer to resaw a massive piece of Douglas fir timber.